The Waterkeeper Alliance has declared war on America’s farms, and Robert F. Kennedy, Jr. is in charge of the battle plan. Officially, the Alliance is a coalition of more than 160 watch programs for America’s rivers, bays, and shorelines, but this is thin political cover for trial lawyers who see big-money payouts from ruining families who have farmed for generations. The Alliance also notably serves as a platform for Robert F. Kennedy, Jr. to maintain his public profile. He has used the Alliance to spread baseless conspiracy theories about children getting autism from vaccines, to obtain taxpayer-guaranteed loans for a troubled solar energy company his investment fund is involved with, and to oppose wind energy projects too close for comfort to his lavish Kennedy-family compound. Kennedy’s involvement with the group dates back to the mid-1980s, when he was a prosecutor in the Manhattan district attorney’s office. According to Kennedy’s own accounts, he was also a secret heroin addict, disguising himself and visiting Harlem to buy illegal drugs by night. That double life caught up with him in 1984 when he was arrested and charged with heroin possession. As part of a plea agreement, Kennedy was sentenced to 800 hours of community service, which he filled by volunteering at the Hudson River Foundation. This group was later absorbed by the Hudson Riverkeepers, the Waterkeeper Alliance’s flagship constituent group. Today, the Kennedy environmental empire consists of the Alliance, the Hudson Riverkeepers, and the Pace University Environmental Litigation Clinic. 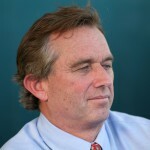 This larger enviro-conglomerate has been a wholly owned subsidiary of Robert Kennedy, Jr. since June 2000; at that time, he began trading on his family name in order to assemble a dream team of attorneys interested in applying the legal model made famous by tobacco lawyers to pork and chicken farmers. Today, the Alliance operates its litigation with assistance from publicly-funded law clinics, drawing criticism from members of both political parties. About half of the law firms that have contributed attorney-muscle to Kennedy’s crusade have experience suing tobacco companies (the ultimate legal cash cow). In addition to these lawyers’ deep pockets, the Waterkeeper Alliance stays afloat through foundation support, individual wealthy donors, celebrity ski events in Colorado and the Canadian Rockies, and a for-profit company called Tear of the Clouds LLC, which sells Keeper Springs bottled water. A combination of slick marketing and Kennedy cachet has placed this product in supermarkets throughout the Northeast U.S. Every penny of profit goes to support the Waterkeepers and their litigious campaigning. The central front in the Alliance’s push against modern agricultural practices that make affordable food possible is its “Pure Farms, Pure Waters” campaign, which the Alliance says “combines hard-nosed litigation with education and outreach on sustainable agriculture.” In practice, farmers see more “litigation” than “outreach,” exemplified by the Waterkeepers’ liberal use of the epithet “factory farm” in reference to the thousands of family farms engaged in contemporary animal agriculture. In truth, the “Concentrated Animal Feeding Operations” (CAFOs) that Kennedy Jr. decries as “a reproduction of the European feudalism” are systems that produce more food on less land for less money that can fit into a sustainable farming method. In 2007, Kennedy Jr.’s eye turned to the Eastern Shore of Maryland, a region with a large chicken farming community. In spite of ongoing efforts by Maryland authorities to improve environmental standards in the Chesapeake region, Kennedy began a campaign to gain access to farmers’ nutrient management plans (NMPs), suing the state to release not only the plans but also information identifying which farmers submitted which plans. Local farmers objected to releasing farmers’ names, justly worried that Kennedy’s legal machine might be looking for a list of ripe targets. Maryland’s judges have tried to balance competing interests by releasing the NMPs without identifying farmers by name. This has not satisfied the Alliance, which still hopes to sue Maryland’s chicken farmers into financial ruin. To launch their Maryland campaign, the Waterkeepers held an Eastern Shore Poultry Summit, at which Maryland Attorney General Douglas Gansler (who had appointed a Waterkeeper regional director as a special assistant for environmental issues) spoke arguing that “we need to ramp up enforcement” of regulations, including by citizen lawsuit (music to the ears of the assembled Waterkeeper supporters). Kennedy Jr. took the opportunity to decry the effects of Maryland poultry farming as a “milestone of tyranny” and call local officials “corrupt.” According to a report by a Maryland local newspaper, poultry farmers who attended in hopes of seeing “outreach” responded to Kennedy’s barrage of baseless insults by walking out while Waterkeeper supporters gave a standing ovation. The setback in gaining access to the names of Maryland farmers hasn’t stopped Kennedy’s machine from trying to churn Maryland’s family farms through a meat grinder of lawsuits. The international Waterkeeper Alliance and a regional affiliate (whom a court later dismissed for lack of standing) sued the Hudsons, a fourth-generation farm family raising chickens on the Eastern Shore. With assistance from the publicly-funded University of Maryland Environmental Law Clinic, the Waterkeepers alleged – based on aerial photography – that the Hudsons were allowing runoff from untreated chicken refuse to enter the bay. This did not stop the Waterkeepers. The Alliance filed suit in early March 2010 and did not withdraw the complaint after MDE made its final ruling that the Hudsons had corrected their improper fertilizer storage. What was the Hudsons’ real sin in the eyes of the Waterkeepers? To secure a stable source of income, the Hudsons contracted with Perdue Farms, a large poultry company based in Maryland. To Kennedy and his acolytes, this made the Hudson family farm a “factory farm.” In addition, the contract linked the rectified error and allegations to deeper pockets. It should, therefore, be no surprise that Perdue is named as a co-defendant with the Hudson family. And while the Hudsons bear their own legal costs, Maryland taxpayers are helping to pay the bills for Kennedy and his cabal. This injustice even drew the ire of Democratic Maryland Governor Martin O’Malley, usually a reliable supporter of environmentalist causes. In a letter to the University of Maryland Law Clinic, Gov. O’Malley said the clinic’s involvement on behalf of the Waterkeepers was a “misuse of state resources” that used “the economic weapon of unlimited litigation resources, namely, taxpayer supported state resources — to potentially bankrupt and destroy a family farming operation which has no recourse to similarly unlimited litigation assets.” The case goes to trial March 5, 2012, more than two years after the Hudson family’s ordeal began. The Waterkeeper legal machine first rose to prominence in the early 2000s by alleging preposterously high damages from hog processors. They sued a major pork processor with the Sierra Club, the Animal Welfare Institute, and the rabidly anti-consumer National Farmers Union as co-plaintiffs demanding triple damages under the Racketeer Influenced and Corrupt Organizations Act (RICO). Waterkeeper spokespeople claimed their targets could be stuck with at least $10 billion in damages. Does the Waterkeeper Alliance want to rid America’s tables of chicken, turkey, beef, mutton, lamb, bacon, sausage, milk, eggs, yogurt and every other animal-based food? Not quite: when Kennedy talks about going after the industry, he’s referring to large-scale (read: deep-pocketed) operations and the family farmers that rely on them for income security. Through contracted production, these companies employ tens of thousands of Americans and offer family farmers security often lacking in an industry where too much rain and too little rain (to say nothing of nuisance lawsuits) are real occupational hazards. These companies (and their contractors) already have to obey countless state and federal regulations, including a whole regimen from the Environmental Protection Agency. Kennedy seemingly plans to continue suing until he finds a judge who will see things his way; at that point, he hopes existing meat producers won’t be able to absorb multimillion-dollar judgments against them. This would open the market up for sustainable meat producers, whose products are marketed as organic, free-range, or environmentally friendly. Why aren’t these products particularly successful on their own? They cost more – nearly twice as much per pound as conventionally produced pork, in some markets. Of course, it’s not like Kennedy or his millionaire funders and supporters will notice much of a financial hit — it will be middle-class Americans who face a shift from meat to potatoes. The Waterkeeper Alliance gets a lot of public recognition because of its president, Robert F. Kennedy, Jr. Kennedy uses his connection to the Kennedy mystique to command the Hollywood glitterati and media on behalf of Waterkeeper. Unfortunately, RFK, Jr. has a proclivity for making conspiratorial public statements, engaging in alleged crony capitalism while denouncing corporate greed, and pushing green energy projects. Kennedy authored a provocative and error-ridden article published in Salon and Rolling Stone in 2005 which alleged widespread collusion between Federal regulators and the pharmaceutical industry to cover up harmful effects of the mercury-based vaccine preservative thimerosal. The allegations that thimerosal caused autism were widely debunked, and Salon finally retracted the article in January 2011. Salon stated that the removal was prompted after criticism over time “eroded any faith we had in the story’s value. We’ve grown to believe the best reader service is to delete the piece entirely.” Kennedy, however, still has the article available at his website (as of December 2011) and still occasionally writes articles alleging the cover-up and link to autism (the most recent was published in 2010). Kennedy’s green investment company has also allegedly used connections in government for private gain. In his book, Peter Schweizer of the Hoover Institution used government data to show that Brightsource Energy (a solar energy firm in which Kennedy’s investment firm has a significant stake) may have used the placement of a former employee of Kennedy’s investment group in the Department of Energy’s (DOE) loan guarantee program to secure the cash-strapped firm a $1.5 billion loan guaranteed by taxpayer money. According to Brightsource’s Securities and Exchange Commission filings, the company made a net loss of $71 million in 2010 on $13 million of total revenue and had outstanding total contractual obligations (i.e. liabilities) of $1.7 billion at the end of 2010. Kennedy, Jr. and the Waterkeeper Alliance may be intent on replacing fossil fuels with so-called renewable energy, but that hasn’t stopped Kennedy and the Alliance’s biggest source of financial muscle from trying to keep renewable energy out of their backyards. Kennedy strongly opposes the proposed “Cape Wind” wind turbine project, which happens to be very close to the sightline from the Kennedy family compound. 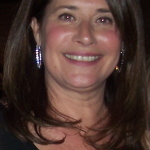 Similarly, The Denver Post reported that hedge fund manager Louis Moore Bacon, whom Kennedy, Jr. called Waterkeeper’s “single largest supporter,” has attempted to block the proposed route of transmission lines from a solar energy plant in Colorado because they would cross a small portion of his 171,000-acre property. Kennedy and Moore Bacon couch their opposition in terms of preserving unspoiled lands and vistas, but it seems unlikely they would be that charitable to opposition to similar projects sited further from their cherished estates. It’s abundantly clear that money makes the world go ’round for this group of Kennedy-led ambulance chasers. The world of class-action torts and nuisance lawsuits is based on the simple premise that attorneys get paid on contingency – that is, they pocket a percentage of whatever a judge or jury awards their clients. The legal dream team Kennedy, Jr. signed up for his early campaigns (who committed $50,000 per firm to participate in the multi-billion dollar RICO complaints that were later dismissed) has loads of experience with this model. Among the products whose manufacturers they’ve sued: tobacco, diet drugs, asbestos, genetically improved crops, and diabetes medications. The Waterkeeper Alliance will insist until pigs (or chickens) fly that their raisons d’etre are clean water and the environment, but consider this: every state, without exception, already has regulations in force mandating environmental standards for all farmers. If Kennedy really believed that America’s environmental laws weren’t being enforced, or weren’t strict enough in the first place, he would be concentrating his efforts on lobbying legislatures and persuading regulators at the state and federal level to adopt tougher standards. It’s not as if Waterkeeper doesn’t have the star power to move public opinion and get the attention of politicians; the organization frequently hosts events attended by Hollywood’s glitterati. The problem with these approaches is that there’s no money in them. Lobbying the government sometimes gets results, but it seldom makes anyone rich. When Kennedy and the Waterkeeper Alliance aren’t retaining high-dollar veterans of tobacco wars to sue farmers, they’re using taxpayer-financed institutions to do their dirty work. The Waterkeeper Alliance has taken advantage of the services of the University of Maryland Environmental Law Clinic to wage economic warfare against a family farm, to widespread criticism. Members of both political parties have openly objected to using taxpayer money to drive taxpayers into the ground. Since Waterkeeper doesn’t have the specter of RICO to hang over the Hudsons (or even Perdue Farms), the incentive presumably isn’t there for the high-powered tort warriors they’ve partnered with in the past to buy in by fronting costs for the legal action. Instead, they’ve dodged those costs by passing them off to taxpayers through the law clinic. Why don’t we put them out of business? We will march across this country and we will bring these kind of lawsuits against every single pork factory in America if we have to…. Whatever it takes to win. You don’t hire a child molester to run a nursery school. It’s a conflict of interest. He [RFK Jr.] is very reckless. He’s assumed an arrogance above his intellectual stature. Pork farmers are … a greater threat than Al Qaeda or Osama Bin Laden.